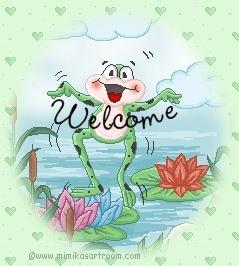 Glad you stopped by, and hope you enjoy your visit to MizFrog's personal Web site. 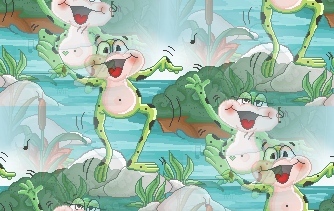 Now playing is "Frog Legs Rag"
Click here for bio of James Scott and history of "Frog Legs Rag." Sequence ©Richard A. Reublin. From ParlorSongs.com. Please type the address into your e-mail program. It is not clickable due to the increased amount of spam that I receive as a result of "bots" crawling the Web looking for “mailto:” addresses. My guest book is closed to new entries due to abuse. You can read them if you'd like by clicking on the links below.